False Tooth Falsehoods: Common Myths About Dental Implants and Bridges - Trusted Dentistry. Dental implants and bridges help millions of people restore their smile every year. In fact, implants are so useful that 10% of all U.S. dentists place implants to help patients regain their lost tooth. Dental implants and bridges use artificial teeth to replace an empty place in your mouth where a tooth should be. 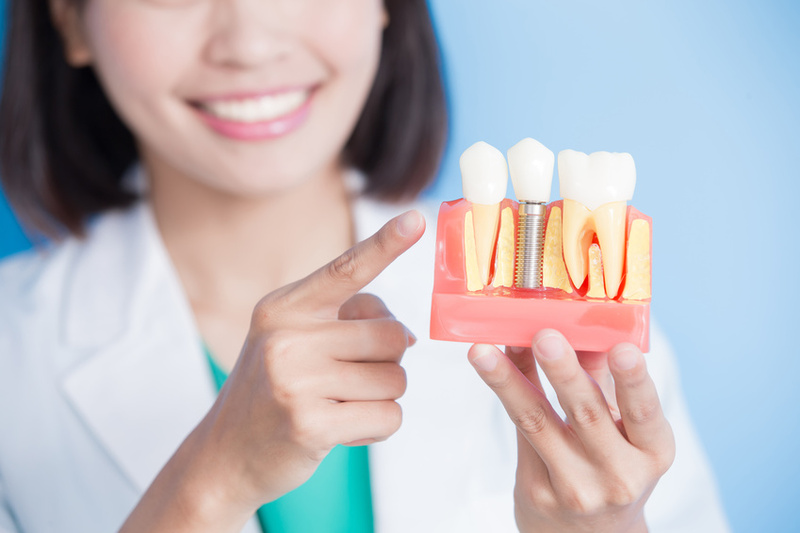 Dental bridges secure the tooth in place through a connection to your surrounding teeth. A dental implant does the same job but in a slightly different way. Rather than being secured by surrounding teeth, an implant is rooted in your jawbone for security, much like a natural tooth. Like any dental procedure, your dentist will take extreme care to ensure you are not in pain. During an implant procedure, you will be numbed and relaxed with a local anesthetic or sedation methods. After the procedure, you might experience slight soreness, but the dentist can recommend methods for managing after-procedure discomfort. Though implants and dental bridges are more expensive than other procedures, these replacement teeth are designed to last a very long time. Bridges, which are less long-lasting than implants, can still remain in good condition seven to 15 years. Dental implants need to be replaced even less often. Though these procedures come with added costs, opting for high quality will save you expenses in the long run. Experts have spent years crafting implants and bridges that blend in seamlessly with natural teeth. Once the bridge or implant is placed and adjusted properly, you won’t be able to tell the difference between natural teeth and synthetic teeth. You can even care for implants just like natural teeth– simply brush, rinse, and floss implants like your other teeth to keep then clean and strong. Though dental implants take a bit longer than dental bridges to heal, both procedures can leave your mouth feeling a bit uncomfortable for a variable length of time. However, the length of time an implant takes to heal is rarely as long as an individual has spent dealing with a broken or painful tooth. “Too long” is a matter of perspective, and once an implant or dental bridge is healed, you’ll be able to enjoy it for years to come. Don’t believe these myths about dental bridges and implants. If you’re missing a tooth or experiencing pain and longing to get your smile back, contact Aegis Dental or Angola Dental today!